Joyce Pike is a sixth generation Californian who is listed in many major art publications and directories such as: "Who's Who in American Art", "World's Who's Who of Women," and, "The National Biographic Society." 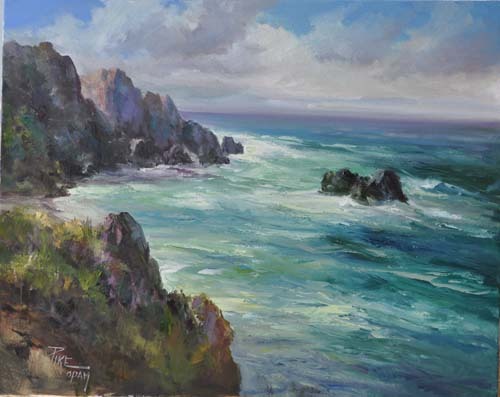 She is a master signature member of Oil Painters of America and emeritus member of Women Artist of the American West. After studying with Sergei Bongart, Hal Reed and Viona Ann Kendall, she taught at Los Angeles Valley College for seventeen years, and has given workshops in Europe, Mexico and throughout the United States.